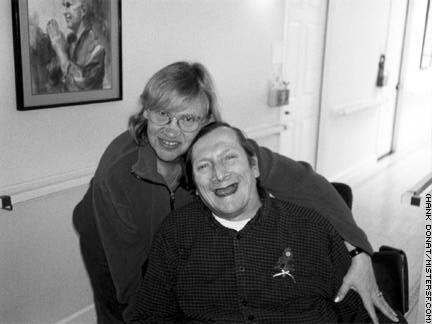 Donald Montwill was an activist and person who lived with AIDS in San Francisco. Margie Ekeberg is his best friend. As managers of Josie's Cabaret and Juice Joint in the '90s, Donald and Margie created a forum for comic and activist voices in the gay community including Marga Gomez, Dos Fallopia, Lypsynka, and the Pomo Afro Homos. Because of their vision, Josie's became a nationally recognized institution.